Following on from the fantastic response we’ve had to Drift (thankyou for all the lovely emails and comments), I thought I would introduce and feature each piece individually and show you more of the photography of each one. The lookbook contains a lot of the photography in one place too. Before I go on, I’ll just say that Cloudburst is available as a single print pattern on the ECY website, the ebook is available on Ravelry, and the lovely print book will be available on the ECY website from Sunday the 11th of October (alongside our huge post-Yarndale update). Pre-orders of the book have gone out this week – they should be arriving over the weekend, although some of the Airmail ones may of course take longer (I sent those earlier but you never know how long they’ll be). 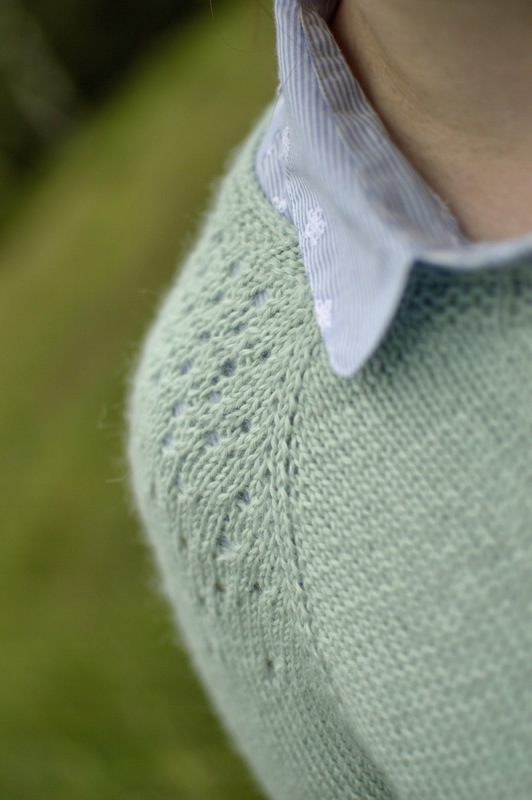 Ok, anyway, Cloudburst.. it’s a lovely simple top-down raglan sweater, which looks flattering on everyone. The asymmetric shoulder and hip lace details add interest, but are not too taxing. If desired, one set of 3.5 mm / US 4 DPNs for sleeves. Gauge 20 sts and 27 rounds to 10cm (4in) over stocking stitch, in the round, on 3.5 mm / US 4 needles after blocking. Note: Adjust needle size if necessary to match gauge. So there you go. This is a sweater that would work really well in hand dyed yarn as well as Whitfell DK, and I also think it’ll work well both as a baggy or fitted top. Don’t forget we’ve got Whitfell DK in Steel on the way at the end of this month (pre-orders available), and we now have it in Natural too, which is lovely (and available HERE). I hope you like the pics – we’ve had so many people saying that it’s good to see garments on a larger model.. this is very rewarding for me because this model is in fact little old me! I hate having my photo taken, and because I don’t get enough exercise I am currently really very overweight, which isn’t great. 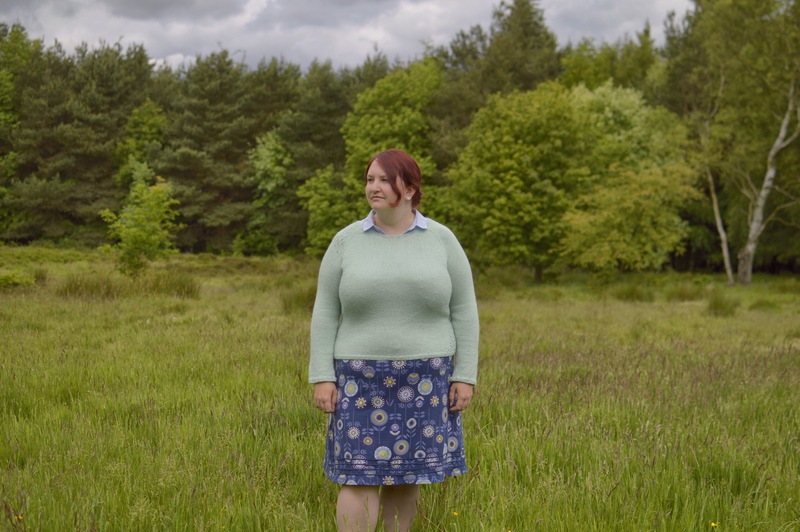 But I’ve had to just deal with having to model most of our knitwear, and not only has it done wonders for my self-confidence, but it seems to have had an impact for many of you too. I’m really grateful for that – on a personal level, that has actually been the single most rewarding thing to come out of this collection. Anyway, I’ll stop waffling on and let you look through these pics. I hope they tempt you to cast on! 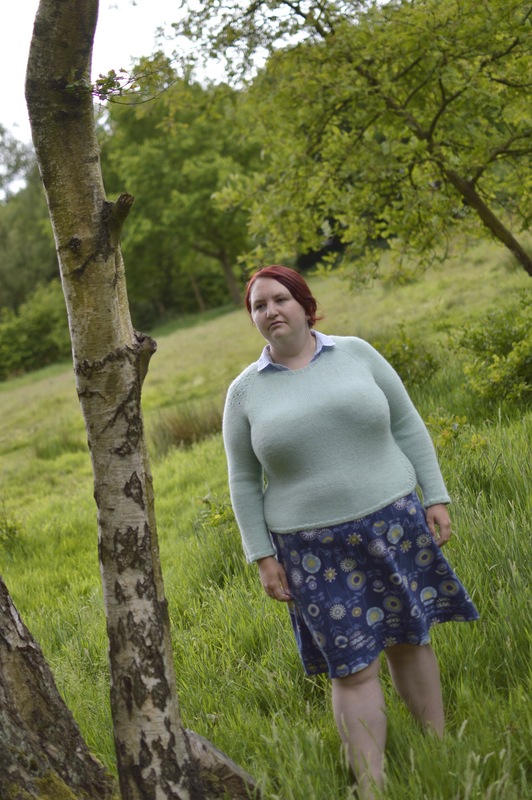 You can see these pics and more info in the lookbook which I linked to earlier, but I will just briefly say that these photos were taken at Otley Chevin – a gorgeous and varied area of land just above the market town of Otley. We use it a lot for our photos! 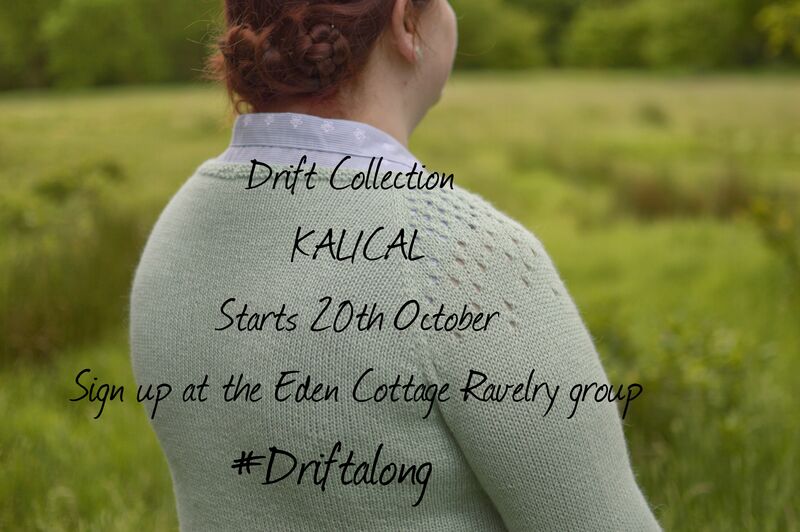 We’re having a Drift KAL/CAL over on the Eden Cottage Ravelry group! Come and join us HERE!